DJ Goapuppy, an up and coming psytrance star, made light of a horrific car crash he survived by loudly screaming “I AM GROOT!” at the paramedics who were treating him. 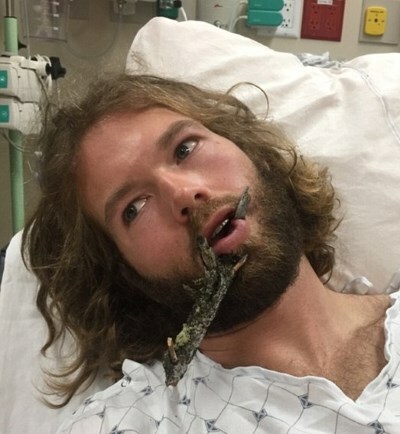 The DJ’s body had been pierced by a massive tree branch after he was thrown out of his car while speeding down a rural road in Quebec’s Eastern Townships. DJ Goapuppy kept paramedics amused by pretending to be Marvel Comic’s sentient arboreal alien character Groot, a giant talking tree.